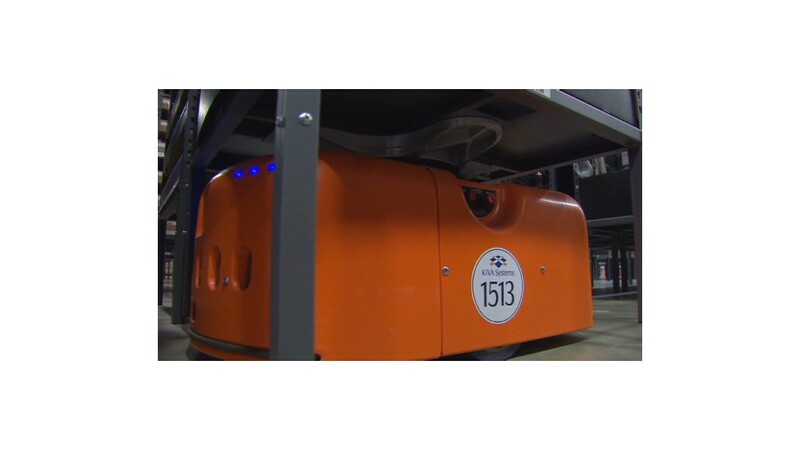 These robots scoot around warehouse floors picking up items to fulfill customers' orders. Amazon will be using 10,000 robots in its warehouses by the end of the year. CEO Jeff Bezos told investors at a shareholder meeting Wednesday that he expects to significantly increase the number of robots used to fulfill customer orders. 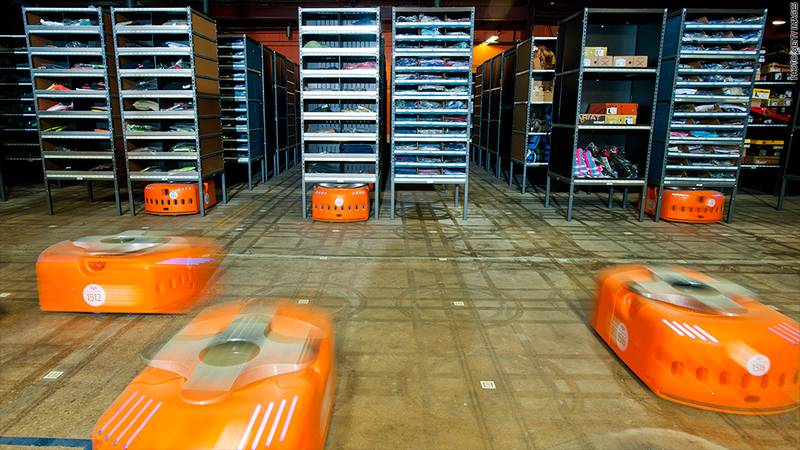 There are currently about 1,000 robot workers on Amazon floors. The increase won't change the number of actual people employed, an Amazon spokeswoman said. The robots are made by Kiva Systems, a company Amazon bought for $775 million two years ago. They are tied into a complex grid that requires months of planning and testing. But once the system is in place, it can save time and cut down on fulfillment costs. While robots are playing a growing role in fulfilling orders in the warehouse, it could still be years before Amazon sends packages via drones to customers' homes. Bezos plans to have drones deliver packages to your door in 30 minutes, but there are a number of legal and technological hurdles before that can happen. For now, you'll have to visit the warehouses to see a robot helping to deliver your package. Amazon (AMZN) started offering public tours this month.